I first met Greg Nagy in early 2005. I was doing some freelance video work in Ann Arbor and got a call from Greg that morning asking me about organissimo’s first album Waiting For The Boogaloo Sisters… Greg complimented the record and specifically wanted to know what I had done to promote it. “Uh… nothing,” I naively said. That wasn’t going to fly with Mr. Nagy. He had a bunch of ideas that we eventually applied to the following release, This Is The Place, ideas that helped make that CD very successful on jazz radio and in the press. For that release, we co-founded our own label, Big O Records. 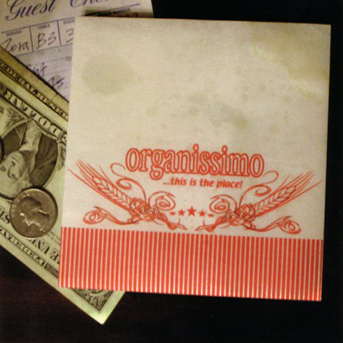 organissimo – This Is The Place (BIG O 2404), released in 2005. This is the first project Greg and I worked together on. Before all that, he invited me over to jam and maybe write some songs. On our first get together, we wrote “Won’t Cry”, which is featured on his first solo release Walk That Fine Thin Line. He joined Root Doctor as well and together we produced three CDs for the band. 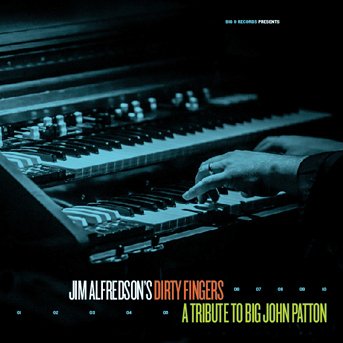 We also produced his sophomore release Fell Towards None and he’s had a hand in every other organissimo release and even my newest solo release A Tribute To Big John Patton. 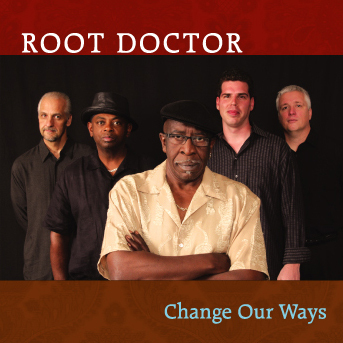 Root Doctor – Change Our Ways (BIG O 2407), released in 2008. I’m very proud of our work on this one including production, songwriting, arrangements, and more. 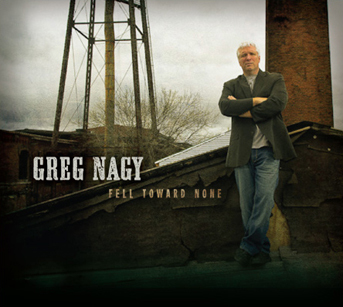 Greg Nagy – Fell Toward None (BIG O 2417), released in 2011. This was a very enjoyable record to make and features one of Greg’s finest performances on my tune “I’ll Know I’m Ready”. In short, we’ve become really good friends and musical partners. Greg and I are now working on his third CD. The last 18 months have seen some dramatic changes in his life. The last few years of my life have been dramatically different as well due to my intense touring schedule and being away from my family. All these things are filtering into the songs that Greg and I are writing together. In the spring, we released a single we co-wrote called I Won’t Give Up, which you can hear for free here (Flash required). It is available on iTunes. So we’re working on a new record together, Greg’s third. We have assembled a stellar cast of musicians to bring it to life. And like my past two projects, we’ve begun a crowd-funding campaign via Kickstarter to finance it. The music industry is in flux. Nobody knows how its all going to shake out. But with crowd-funding, the middlemen are removed from the process and we can connect directly to our fans. You’re not donating to a cause, you’re supporting the creative process. You’re directly participating in the production of new music. I really believe in this music and I hope you’ll consider being a part of it. My role will be as songwriter, performer (Hammond, Wurlitzer electric piano, piano, Rhodes, etc. ), and engineer. Check out the introduction video above and consider becoming an important part of the process with us. Thank you! Here is the direct link to the Kickstarter campaign. Hammond is shipping their newest model, the XK1c. This replaces the discontinued XK1. The engine is much the same as the SK series but without the other non-organ voices. The form factor is also very similar but lacking the SK’s non-organ voice controls. It also features different end blocks with a more traditional wood grain. The organ engine has a few differences from the current OS in the SK series (though this may change). First is a MIX parameter for the chorus/vibrato, which controls the balance between the dry signal and the affected signal. Users have been asking for this ability for some time. It allows you to dial in some “age” to the virtual chorus/vibrato line, not unlike the capacitors in a real tonewheel organ aging over time. The range is from -64 (dry) to +64 (100% wet). Another difference is the COLOR parameter in the Leslie simulation menu. This imparts some tonal characteristics reminiscent of cabinet resonance to the Leslie sim. Hammond also added some very subtle details to make the sound even more authentic. The drawbars exhibit a very understated ‘click’ in the audio when moved. It is barely noticeable but tonewheel Hammond organs do the same thing, even those with smooth drawbars. A similar understated ‘click’ is audible when holding a note or chord and pressing the chorus/vibrato tabs on or off. Again, a tonewheel console like a B3 does this as well and it isn’t loud or distracting. Here is a quick improvisation using the very first stock preset on the XK1c and the internal Leslie sim. This was recorded straight into Cubase 7 with no external processing except for a very light limiter added to the final mix for web delivery purposes. The reverb is also from the XK1c. The sound right out of the box is very good. To my ear, Hammond’s past instruments all needed substantial tweaking before they sounded as good as their potential, but the XK1c comes from the factory sounding really great. The presets are for the most part well programmed and display the range of tones available. One of my favorites is a re-creation of a 1940’s Hammond BV through a Leslie 31H tallboy. I will be making a custom tonewheel set for it based on my ’54 Hammond C2 and this will be available on my site as well as the Hammond site for free. I think Hammond has a real winner with this product. A 13lbs Hammond organ with the big sound of the original 400lbs beast for $1495? Sounds good to me!